Sentiment analysis, also known as opinion mining, opinion extraction, sentiment mining or subjectivity analysis, is the process of analyzing if a piece of online writing (social media mentions, blog posts, news sites, or any other piece) expresses positive, negative, or neutral attitude. Relevant read: What is sentiment analysis and how to do it yourself? Sentiment analysis tools are getting better and better in determining the attitude a piece of content expresses, that’s why the sentiment analysis is becoming more popular. Business: companies use opinion mining tools to find out what consumers think of their product, service, brand, marketing campaigns or competitors. Speaking of business, believe it or not, this sort of analysis can be used to predict the stock market! Politics: In politics, sentiment analysis is used to keep track of society’s opinions on the government, politicians, statements, policy changes, or event to predict results of the election. For example, during the 2016 US elections, there have been a study analyzing Twitter sentiment analysis of presidential candidates. Public actions: opinion analysis is used to analyze online reactions to social and cultural phenomena, for example Pokemon Go, the premiere episode of the Game of Thrones, or Oscars. It’s important to remember that sentiment analysis tools out there aren’t flawless, whether it’s Brandwatch or Brand24. Here’s what sentiment analysis is and what its challenges are. Today, I’ll talk about how to do twitter sentiment analysis. What is Twitter Sentiment Analysis? It’s the proces of determining whether a Twitter mention conveys positive or negative attitude. The It’s been classified as negative because it contains the word pissed. The word in bold, #FacebookDown, is the keyword this project monitors. How to Do Twitter Sentiment Analysis? The entire journey with Twitter sentiment analysis starts with choosing the right tool to do the job. A social media monitoring tool might be the right choice here. Majority of social media monitoring tools cover sentiment analysis not only on Twitter but also on Facebook, Instagram, other social media platforms, or other online sources. Let me explain how Brand24 handles Twitter sentiment analysis. The tool analyzes the sentiment for pieces of writing containing any keywords one monitors. After narrowing down sources only to Twitter and entering keywords of one’s interest, the tool starts collecting Twitter content containing these keywords. Then, these mentions land in the tool’s dashboard. Each mention is classified as either positive, neutral, or negative. 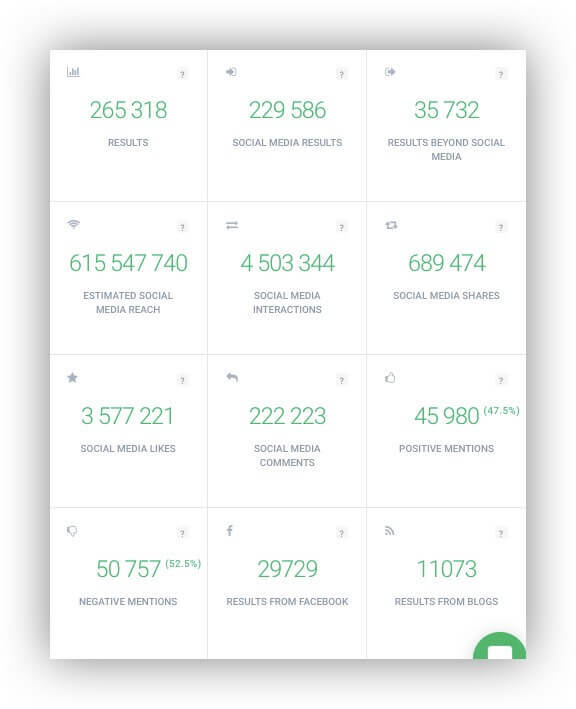 At the top of it, there’s a chart presenting the volume of mentions, their social media reach, the number of interactions and the number of positive and negative mentions. The time span can be freely adjusted in the top right corner. To display either positive, or negative mentions, there’s a slider on the right from the dashboard. 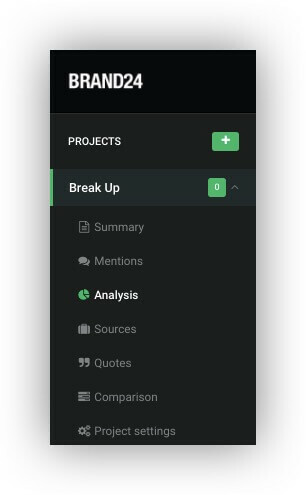 To find statistics about the number of positive and negative mentions, one can visit the Analysis tab located in the menu on the left-hand side. Apart from other pieces of data, you can see the exact numbers about the positive and negative mentions. Voila! This is Twitter sentiment analysis using Brand24. If you feel like you want to analyze emotions and attitudes on Twitter, you can try Brand24 which is absolutely free.